Today we will draw Spider-Man. As you can see, it is not ordinary Spider-Man. 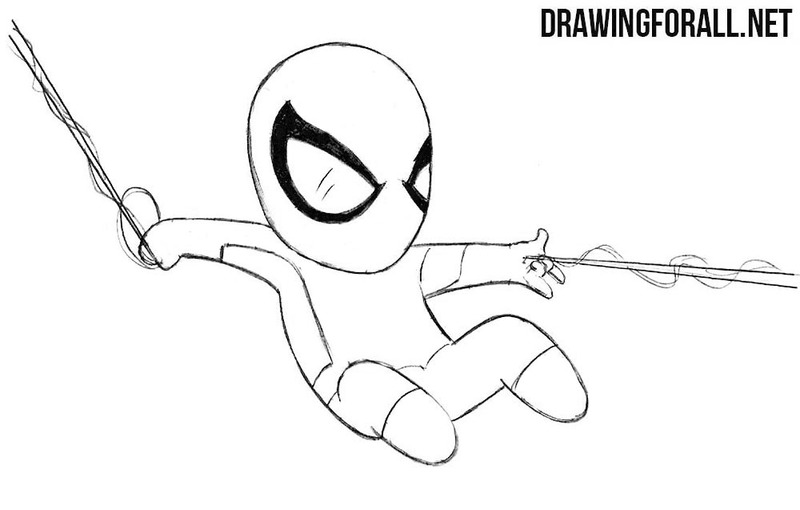 It’s chibi-style Spider-man and we will try to draw this picture. The first thing we should do is draw the head. This figure looks like air ballon. 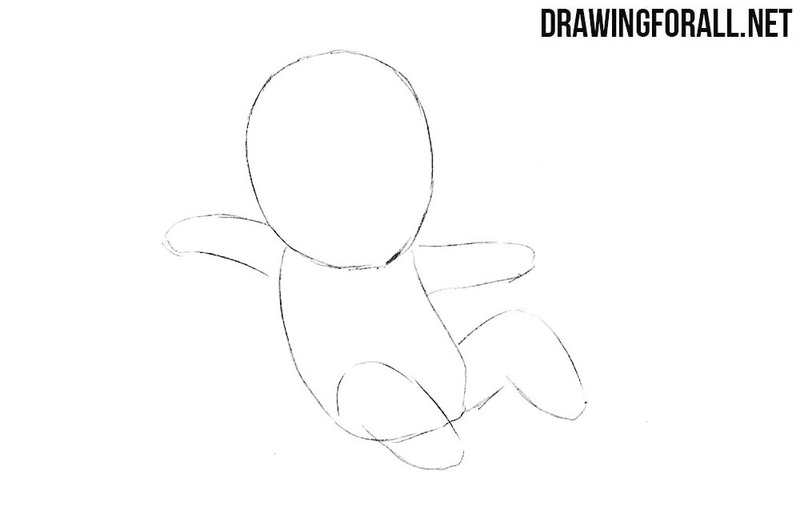 Now we will draw a body. In this case the body looks like an ordinary oval. Please note that the length of the head equal to the body length. 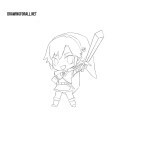 It’s time to draw arms and feet. As you probably noticed, these limbs do not have articulations. 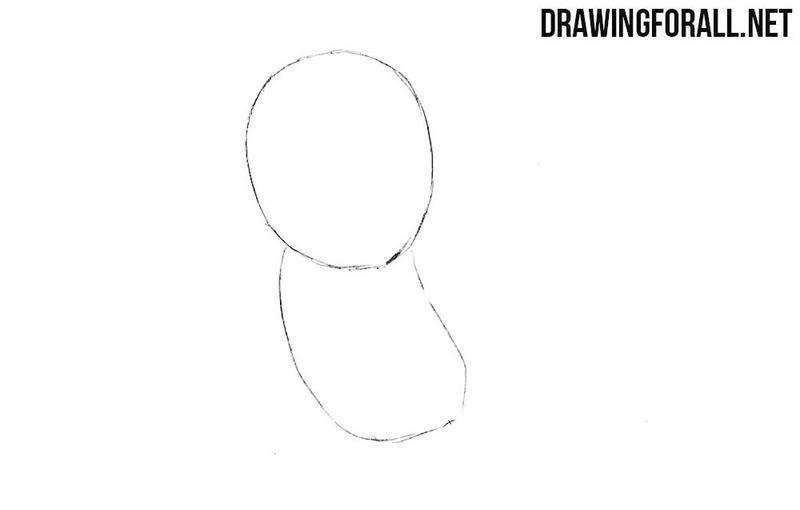 That’s why drawing in this step is really very simple. The main thing is not to get confused with the dimensions. 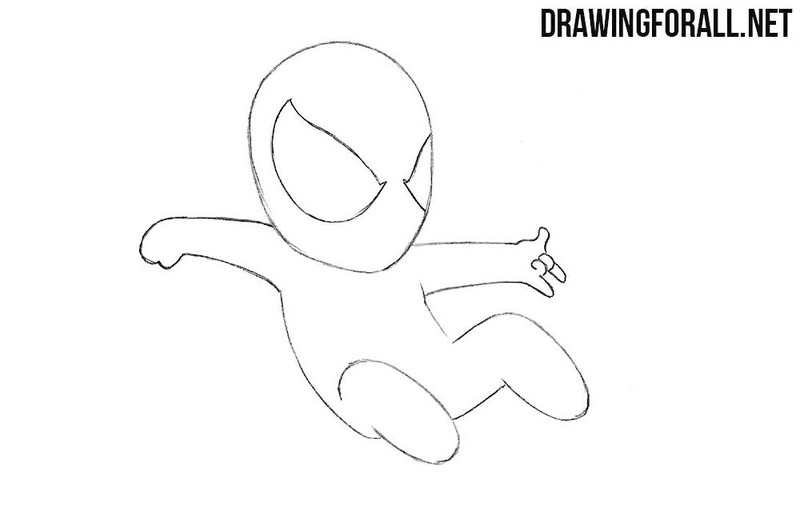 So we practically repeat another Spider-Man’s drawing tutorial (we mean original version, not Chibi). In this step we will outline the contours of the eyes on the mask. 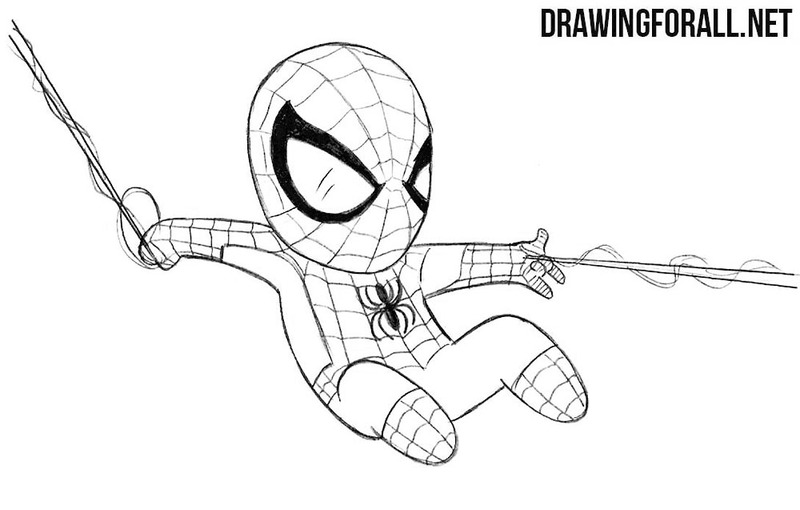 And it is practically final of the drawing tutorial in which we told and show how to draw chibi Spider-Man. In step we will make right form of the eyes. Also we will draw a web. 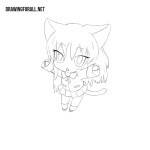 And the next step is the drawing of the web which located at the costume. 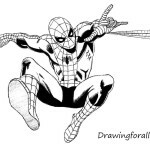 In addition to the pattern of web we will also need to draw a spider’s logo on the chest. 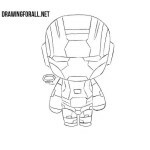 Chibi Spider-Man is drawn. But this is just one of a number of the most different drawing lessons about comic book characters. 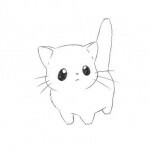 Visit them all and learn how to draw as a real comic book artist. Thank you! Your site is great!